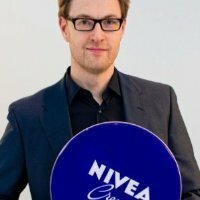 In preparation of my latest Millennials at Work publication I got the opportunity to interview Christoph Fellinger, Talent Relationship Management at Beiersdorf, a German personal care company that holds one of the largest skin care brands globally, namely NIVEA. 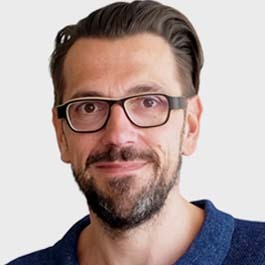 Currently, Carl-Christoph is building up the Talent Relationship Strategy for Beiersdorf and handling the Talent Attraction for HQs. First, thanks for this interview Christoph. To kick off, what do you feel is different in recruiting Millennials compared to other generations? Is it just the channels you are using or is it also the message you are bringing? Millennials clearly focus more on the degrees of freedom they would have in the roles that you are trying to fill. It is about the responsibility they will have. Development does not only mean career progression to them, but also personal growth: learning new skills and competences. What can they learn and what could they do next? What we also see, more often than in the past, is Millennial applicants who are offered a contract for a graduate training program and turn down the offer because our program is set in certain areas: so, they must decide to do the program in a certain area like Marketing, Supply Chain or Finance. And we’ve seen candidates turn a very good offer down, stating that they would prefer to go into a more flexible environment and not wanting to limit themselves by joining one specific area. They are looking for broader possibilities. They want to move around in the organization. Why do you think has changed? Is it because they are afraid to choose? Or is it rather because they feel the job would be less interesting if they specialize into one domain? What’s behind that phenomenon? When I’m speaking about Millennials that we encounter during our recruiting process, we must keep in mind that I’m speaking about the top end in terms of employability, so it’s the 5% per cohort we are speaking about. These Millennials are not afraid of anything, rather the opposite. They know that they are very well educated and they have a very deep understanding of that the world is open to them and justly so. When they turn down an offer like that, stating that they are afraid of limiting themselves, it’s not out of fear, it’s more like “I know I’m good and I want to keep my options open so that I can do what suits me best”. No indeed, but if we look at companies and if we look at least at that segment of Millennials, they feel capable of getting into everything because they know they can learn and adapt to a specific area quickly. Maybe with the little naïve notion that the part that they don’t learn, they can fight their way through, through a network, through colleagues. Maybe it’s the lack of understanding that, sooner or later, they will get into a role where not knowledge but experience is what they need. But from where they stand now, it’s more like “I still want to try out stuff, I don’t want to settle too early”. And how do HR strategies of companies like Beiersdorf respond to that need? That is a challenge. I think there are 3 ways of responding to that. One way would be to cater to that wish, need, and launch programs that allow a maximum of flexibility. Second is to broaden the options within the existing programs. That’s what Beiersdorf does. You can go to marketing & sales and within that area there is a tremendous breadth. You could go to brand management or trade marketing, key account management or e-commerce. We give a maximum of flexibility within the program and try to cater to their interests. And we even – and that works very well with Millennials – incorporate a flexible module during the end of their training program. It allows them to earn additional experience beyond their normal track, irrespective of the department they would like to go to. So, you have someone in the marketing & sales track who aims at becoming a brand manager and they have the chance to work for a while in business controlling or in CSR or in the CEO office – or whatever other area of business they are interested in. We have added that in our programs and we have received feedback repeatedly that this aspect of the program makes it appealing to them above other programs. A third option obviously is keeping to a strict program yet trying to explain Millennials the benefits of earning experience within a specific segment. That can be linked to catering to their wish for further development. This is where I said it might be naïve to state “I want to keep my options open because I can do anything”. It neglects the fact that experiences will also build your options later in your career. Being more sensitive to the freedom of choice would that be related to how Millennials have been raised or educated? Or is it related to how society or company structures have changed? I believe it’s a societal phenomenon becoming very visible in Millennials. Millennials have a choice, because they are at the start of their career and early enough in life not to have constraints like a family or a house. Today an increasingly strong motive and value in society as such is self-determination: “I want to lead my life in a way that I would like to.” It’s the ultimate value – and it becomes most visible with the younger generation as they have both the eagerness and flexibility to exploit that wish to the max. The second influencing factor is technology. Technology enabled a lot of customization nurturing individualization. That has an indirect, subconscious impact on society as such, especially on Millennials. If you just look at how social life worked back when we were in school in the 80s… “Let’s meet at 11 at the club” and that was that. Today it’s: “Let’s check on Facebook or WhatsApp what everybody is doing and then decide where and when we’ll go.” It’s much more immediate, spontaneous and non-committing. I’m not trying to be judgmental here, I think it’s the result of a lot more choices enabled by ubiquitous information and communication. It is possible to keep the options ultimately open. And that is something that has crawled into our behavior. I think that is one of the reasons we see this open-ended behavior even on a level of making choices for professional life. That’s a very interesting point. Another thing you have mentioned earlier is Millennials’ increased need for personal freedom. How do you respond to that, knowing that it’s not only Millennials at the workspace but also middle management, other generations who have other values and other ways of looking at things? Can you guarantee Millennials will have personal freedom at work, knowing that their manager will probably have a different view on things? There is a general trend across generations, to strive for more freedom to act, which again relates to the increasing value of self-determination. Yet organizations often struggle the most with these notions. If they have a certain size, they are operating in set structures. Large companies have been designed like that for decades, if not even a hundred years because standardization is the easiest way to achieve efficiency. Yet with the volatility of markets today, companies anyway must become more flexible. Hence, there is also a push from the market, to become more dynamic and flexible. Good news is as there is a growing desire to work more self-determined, organizations are starting to experiment and change to more open structures, allowing more individual freedom, to become more dynamic. But we are not there yet. We still notice issues with culture or value differences. The reason for that is that each manager and each employee will look at their own work life based on their own socialization with work. The way you were brought up in the working world has a very deep impact on your work-related values. And it is something you carry with you through your life. We often see friction between Millennials coming in with an ultimate “I want to do it my way” when encountering older managers who understand that “It’s beautiful to work your way as long as it fits with my perception how things should work”. Do Millennials understand that type of reasoning? It can clash. Simply because there is no understanding for the other side. There is always a need for explanation or translation, to understand each other. But if you do that, I discovered it works well – for both sides. So, for instance, we offered open classes, like 1-hour or 2-hour sessions for managers, explaining the phenomenon of Millennials. We are making clear how they grew up and how it is different to how they grew up. For instance: When senior managers mention “These kids are constantly asking for feedback”, we try to explain where that comes from. If they understand the why, they can better handle the situation. The same goes for explaining the value of senior managers’ experiences to younger employees. We know that the principle of mentoring works brilliant here, because Millennials in general tend to value learning from more experienced persons. It also helps improving their skills on a personal level: with getting a better understanding they move much more smoothly through the organization. Finally discussing habits, structures and processes teaches both sides about alternative perspectives, which results in senior managers equally learning for themselves. Translation between these groups with different backgrounds results both in smoother interaction and a more diverse view on topics that matter to the business. And do you think that’s enough, explaining why some structures are like that? Because I would see Millennials challenging existing structures. Questioning if these structures are the best way of managing the company? That is true. And it is very beneficial for companies that are looking to adapt to the world outside. Markets are becoming more dynamic and volatile. Companies need to change. If you take Millennials and their self-inherent wish to challenge the status quo, being brought up and majorly influenced by this world that is changing so quickly, leveraging their views can be beneficial for the companies. For Millennials who are fond of new technologies, new players and business models in the market, how do you stay an interesting brand, being a large multinational traditional company? I think there we are lucky because we strongly rely on innovation. Within our business there is an opportunity to stay in touch with new developments. We also have small startup-style areas where we consciously place talented people. It allows them to work on innovations in every possible hierarchical level. Having said that, the start-up dream and mentality has become a more important competitor when it comes to recruiting and retaining Millennials. We have lost brilliant Millennials because they wanted to found their own company. They stated: “If I don’t do it now, I’ll never do it”. Interesting enough it is also related to something I have read in your book: the role of family. I had one Millennial saying: “I love this company, I love my job, everything is right with Beiersdorf. But I’m leaving to found my own start-up because I’m feeling I must do it because I can. And it is all possible thanks to the way my parents gave me opportunities and brought me up. I owe it to them to try it.” I was overwhelmed by that quote! Work/life balance, I know it is a bit of a cliché topic when people are talking about Millennials, but still it’s something that is very important to them. Millennials like to control their own agenda and decide themselves how they blur their private life and business life. Do you recognize this and how can a corporation like Beiersdorf work with all these flexibility-seeking recruits? Millennials totally buy into the idea that it makes sense to be in the office at certain times, because they interact with other people in their job. But they also do expect, to be able to take either time off or work from home or any other place if it suits their work. And it’s not up to the company to decide whether that makes sense… they expect that this decision is up to them. It is clearly a difference when you compare them to older generations. They are expecting flexible sabbaticals, the possibility to take time off and the flexibility of making the decision where and when to work. But working time as such, and presence on-campus, is something they do accept in a big company because it simply better enables them to achieve their objectives. Have you changed the way of organizing work, because they want to have more flexibility and choose from where they work? Yes, we did and again, not due to Millennials but due to the demand of all our employees across generations. It was clear that we wanted to enable home office, work from home or flexibility in working times. It was not driven by Millennials. I think it’s a sign of the times. Again, the increasing value of self-determination leads to an expectation of better life/work compatibility among Millennials as it results in Gen X or Babyboomers wanting e.g. to spend more time with their family. NIVEA is a family brand, and Beiersdorf a very family-friendly company. Do you have programs to help people cope with stress or to balance work/life, to focus on a certain task instead of trying to multitask all the time? That is in general a topic. We’ve been also affected by burn-outs – throughout hierarchies and generations by the way. So, there are dedicated programs, first to prevent burn-outs by educating managers, to keep an eye on it with their teams. I see a special risk for Millennials: They are very eager to perform and as we are hiring especially the ones that are top-motivated, there is like a danger of overheating. Last year, we have increased the coaching part in the graduate training program. Coaching not by their immediate team lead – because they are only there for 3 months – but by one HR person who accompanies them throughout the program for the whole 18 months. Together they keep an eye on the stress levels and their individual situation. The coach not only discusses what happens in their work life and options of situations they come across, but also helps them to pay attention to what is the right way for them. It has a lot to do with being self-aware, to know when you should take a step down. Some have pushed through their education so intensely that they are in a constant running mode. But to run the marathon the whole way, you are better off not burning your power in a sprint. And the coach gives them signals, like “Shouldn’t you take a break right now”? The coach works with them on self-awareness, it’s the managers who keep an eye on their teams – and again not limited to young employees as we see this as a cross-generational phenomenon. “You have too much overtime, take it a little bit easier.”. Basing this on working time is not ideal, but it’s one indicator based on hard data that’s available. Obviously good leaders also do it by observation, and this is actually – coming back to your question – where we invest in educating the managers: to identify the symptoms of burn-out, early on, with their employees. So, this is where we train the organization. To conclude, a typical topic in HR & Millennials is the importance of money versus other motivational drivers with different studies showing different results. What’s the view of Beiersdorf? This is a very good example where the generational segmentation falls short. If you look within the segment of the 20-to-35-year-olds, you will find different clusters with different motivators. At Beiersdorf, we need people who feel a strong dedication to our brands and innovations and are dynamic and self-driven to drive the business. With people who are mainly money-oriented, it wouldn’t fit. The motivation must be: accomplishing producing better products for consumers. That is the feeling, the reward. If you come up with a brilliant product, a brilliant marketing concept and it works well, you feel great in your accomplishments. But then again, and that is typically Millennial, they have the self-consciousness to say: “And for bringing that to the table, I expect a proper remuneration and appreciation. If I don’t get that, you’re not getting my skills.”. But the driver, at least for the ones that we are hiring, is the motivation to come up with great products and results and they can expect to get adequate appreciation for that.